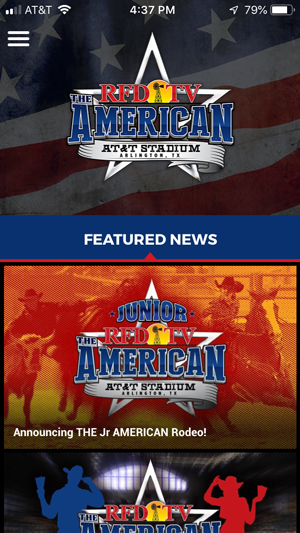 If you are heading to Texas for RFD-TV's THE AMERICAN, you need The American Rodeo app! Local area info including hotels, restaurants, shopping, parking and more! 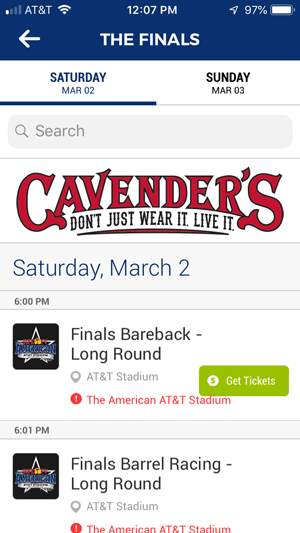 From slack events, through the Semi-Finals and the Finals, it’s all in the app! Download it today! Go to the App Store or Google Play store now! Below are examples of the Home screen and Schedule page.